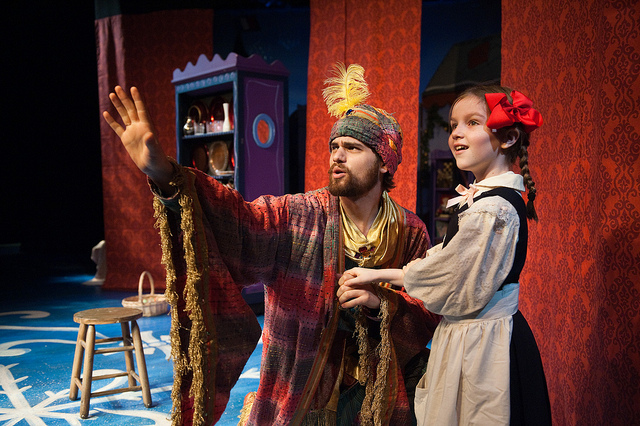 ATLANTA (November 30, 2015) – A holiday adventure beyond wildest dreams, Madeline’s Christmas celebrates the yuletide season at Horizon Theatre, December 5-31! A merry treat for parents and children alike, families are invited to join Madeline and friends for an enchanting musical adaption of Ludwig Bemelmans’ classic children’s tale! 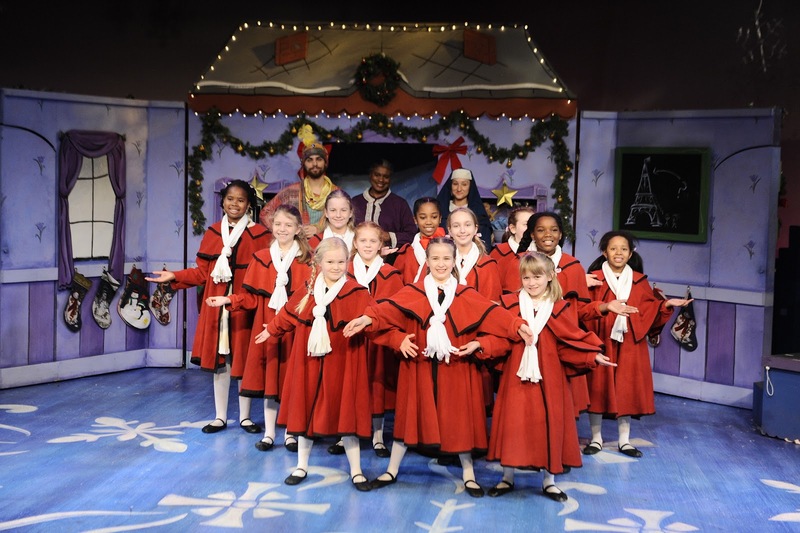 Featuring 24 local girls performing alongside professional actors in collaboration with The Atlanta Children’s Theatre Company, this beloved Atlanta tradition is a holiday must-see! Madeline’s Christmas runs December 5-31, 2015. 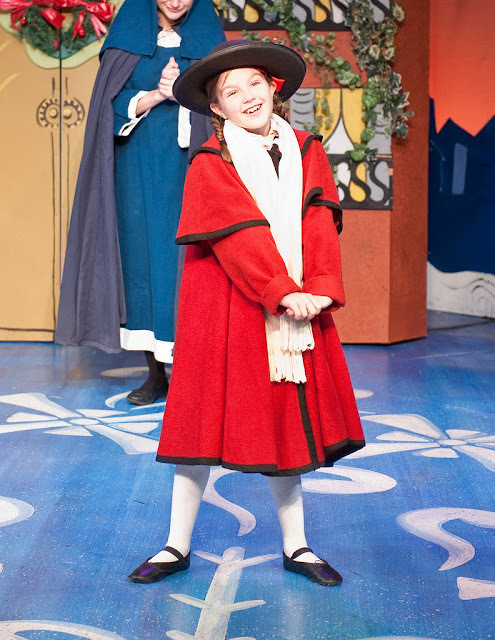 Performances are weekends at 1 p.m. and 3:30 p.m. with additional school day matinee and holiday week show times. Tickets are $15 for adults and $12 for children. Tickets and information are available at horizontheatre.com or 404.584.7450. Based on one of the most popular children’s books of all time, follow along as Madeline and friends figure out a way to make it home for Christmas after they’ve come down with the flu! With the arrival of a mysterious stranger, the “twelve little girls in two straight lines” end up with a magical and memorable holiday like they never expected! ARE MADELINE AND HER FRIENDS IN YOUR NEIGHBORHOOD? Performances of Madeline’s Christmas run December 5-31, 2015. Saturdays and Sundays at 1 p.m. and 3:30 p.m.
Saturday, December 12 and 19 at 10:30 a.m.
Tuesday, December 8 and Wednesday, December 9 at 10:30 a.m.
Monday, December 7 and 14 at 6:30 p.m.
Friday, December 18 at 1 p.m. and 3:30 p.m.
Monday-Thursday, December 21-24 at 1 p.m. and 3:30 p.m.
Monday-Thursday, December 28-31 at 1 p.m. and 3:30 p.m.
General admission tickets for Madeline’s Christmas are $15 for adults and $12 for children. Tickets may be ordered by phone at 404.584.7450 or online at horizontheatre.com. Ticket prices are subject to change. Eight percent sales tax will be added to all ticket orders. Internet convenience fee added to all online orders. No refunds, exchanges, or late seating. Group discounts are available for the matinee performances on Tuesday, December 8 and Wednesday, December 9 at 10:30 a.m. School and daycare groups of 10 or more receive a discounted ticket price of $10 per ticket plus one free chaperone ticket for every 10 tickets booked. Contact Group Sales at 404.584.7615 for more information. Girl Scout troops receive a discounted ticket price of $13 for adults and $10 for children for troop outings, valid for weekday performances. Contact Group Sales at 404.584.7615 for more information.